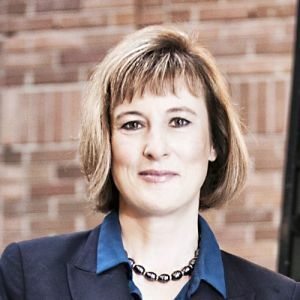 Alison Nankivell currently serves as Vice President, Fund Investments and Global Scaling for BDC Capital, the risk capital subsidiary of the BDC. Based in Toronto and Hong Kong, she leads BDC Capital’s fund investments activity which constitutes over 60 GP relationships and close to $1 billion in assets under management. She is also responsible for BDC Capital’s cross border venture strategy to support its most high potential investee companies to grow both their business and investment partners in the Asia region. Before joining BDC, Alison served as Director, Funds Asia with Ontario Teachers’ Pension Plan. She also served as Head of Funds at Export Development Canada (EDC), where over a seven-year period she built out the Canadian and Asian private equity and venture capital fund investment platform for EDC’s Investments Team. During her 15 year tenure with EDC, Alison spent seven years over two postings based in Beijing, first as Chief Representative for Greater China, and then as Principal and Head of Asia Fund Investments. Alison also lived in Beijing and Hong Kong from 1990 to 1995, where worked for the Economist Intelligence Unit. Fluent in Mandarin, she has also served as an independent economist undertaking consulting work for the International Labour Organization, the United Nations Development Program and CIDA the Canadian International Development Agency in both Beijing and Ottawa.